A Trawler is a fishing vessel. Designed for working long hours in rough offshore waters, it’s big, heavy, slow, and efficient. It almost always has one diesel engine, and is typically made of steel. 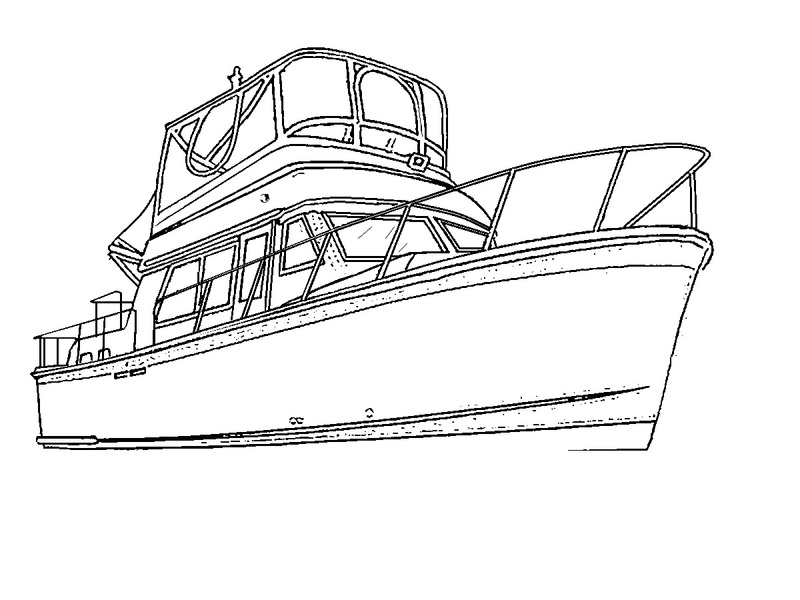 Large decks topside provide room for extensive gear for hauling fishing nets. Cygnus is a recreational vessel, small by fishing boat standards, made of fiberglass, with two engines and very little deck space. Most of the boat is dedicated to interior cabin space. It’s hull design allows it, at the expense of higher fuel burn, to travel a little faster than its most efficient hull speed. But, by speedboat standards, it is big, heavy and slow, and built for endurance. Those characteristics make it a much more stable platform in coastal waters, as well as more efficient at slower, displacement speeds typical of “real” trawlers. The engines are diesel-powered, which means fuel is almost always available in the most remote fishing ports. Traveling may not be as quick as a typical recreational boat, but in all but the calmest seas, it’s likely to be much more comfortable. Boat salesmen use the term “trawler” for almost any boat with good sea-keeping ability, comfort and efficiency, at the expense of top speed. We’ll use that definition here, even though some would protest it’s technical inaccuracy. That, and the domain name “Cygnus.com” was already taken.